Getting more subscribers to your YouTube channel is not an easy task. YouTube is a big platform with 5 million to 30 million daily visitors! This large amount of YouTubers can allow you to reach a large audience, but because of these enormous numbers, it's also very difficult to reach the audience that fits your niche. So, how do you get YouTube subscribers the right way? 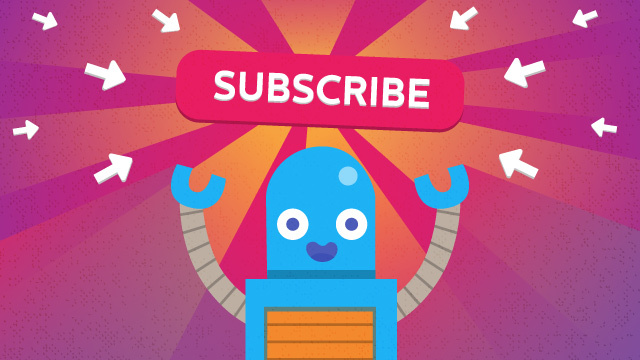 One of the fastest and most effective ways of getting YouTube subscribers is to simply buy them. If you are a beginner, this method is especially for you. Why? When you are a beginner or if you fail to accumulate the number of subscribers you want, you do not look attractive. When your channel has a low number of subscribers, it's more likely that people will not rush to be your first subscribers just because of the look of your channel. People prefer to be sure that they subscribe to an attractive channel. Buying YouTube subscribers will let you get more YouTube subscribers organically and will also increase your social proof, thus creating a popular and successful image to your YouTube channel. To achieve a long-term relationship with your YouTube subscribers, you have to create videos on a regular basis (for example, upload a video twice a week). Ensure that your content is of high quality and relevant to your niche. You really need quality content about relevant things that will be of interest to the viewers. This will help you cover many topics that your different subscribers share and enjoy to interact with. They will subscribe to the channel because they find you informative and relevant. Only quality videos can “make the cut” and become popular. The few amateur videos that go viral are lucky and rarely become successful. In addition, let your subscribers see new content frequently. This will help you to stay relevant and accessible to them. As a result, they will be addicted to your channel (in case your content suits their interest, of course). Who doesn't want that?! To promote your channel and to increase your YouTube subscribers count, all you have to do is ask at the end of every video you upload to subscribe. It's as easy as its sound. At the end of every one of your videos, you'll tell a little bit about your channel, create interest for the new viewers, and make them want to stay on your channel and click on subscribe. You don’t have to just ask, you can also add a link and make it easier for your viewers to subscribe to your channel - just be sure you’ve provided a correct link at the bottom of the screen. Aside from asking and linking in the video itself, you can also add a short explanation about yourself and the channel and add a link in the description box, as well. This, too, can help you increase YouTube subscribers in a very organic and steady way! In the effort to capture the attention of your viewers fast, create a thumbnail image they just can’t miss or neglect. They may not get another chance to view it, so let the first time they see it be the moment they choose to click on it. A thumbnail image is meant to entice a viewer to click on your video rather than others, and by doing that you’re increasing your video’s CTR (click through rate). The higher your CTR is, the more times YouTube’s algorithm will expose it to a wider audience. It is a very critical moment for you, so make sure it is efficient. Make the design of your custom thumbnail striking. It will appear when videos are shared or embedded on other sites. There are simple Google rules for a thumbnail; it should have a resolution of 1280X720, be not more than 2MB and use 16:9 aspect ratio. The format should be either .jpg, .gif, .bmp, or .png. Every video you create represents your YouTube channel. Every viewer can become your next subscriber. Therefore, this is also a way to get more YouTube subscribers at the end. A great way to hook visitors to your YouTube channel is to create a channel trailer. The first time someone enters your channel, let them have something to watch immediately - a preview of what it is about – in order to capture his or her attention for those critical first few minutes. It should leave them impressed and interested in coming for more. Also, ensure it is short and precise but mostly captivating. Focus on making it as attractive as it is informative. After some time, you should consider changing your trailer. Watch the trend and determine if it has served its purpose. If it is no longer giving you a good rate of subscriptions, it is probably time for an update. Therefore, in our opinion, it’s crucial to make a proper trailer in order to get more YouTube subscribers organically for your channel.